Use of raw egg in beverages long predates the creations of cocktails related drink forms themselves, and was a valued ingredient from their onset. Usually used for the emulsifying consistency and foaminess it imparts, it is often subdivided into its yolk white parts as separate cocktail constituents, the egg white being the more common ingredient. In classic cocktail terminology, "golden" appended to the name of a cocktail (as in "Golden Bronx") often indicates the additional presence of egg yolk; "silver" (as in "Silver Bronx") requests the additional presence of egg white in recipes otherwise without egg. 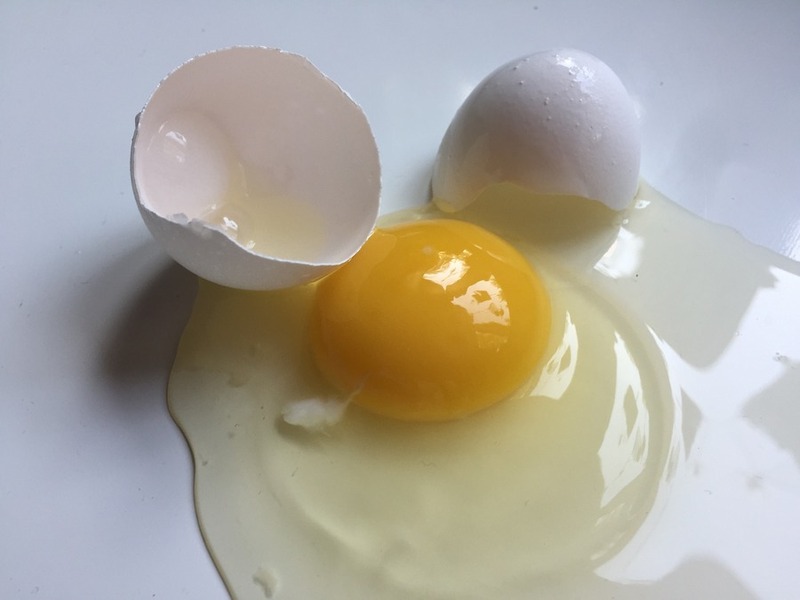 When either "half a yolk" or "half an egg white" are specified, simply prepare two portions (2 drinks) instead of one - since division of single yolks or whites is problematic. Insofar as egg whites in particular were mainly used as frothing agents, artificial eggless frothing agents have also been developed, though they are not recommended.